very soft. seem fairly true to US size. Home Delivery, goods is good, orders for the 2nd time. My 52 size perfect fit size L. Thank You. Arrived in Rostov-on-Don for 20 days. For the order-quality worthy, stretched to 46 size girl 14-15 years. For sports, running, dancing is the most. Breathable fabric. don’t be surprised – all good, that means in front green, at the back pink :D…. I am 161cm. and 55kg, I would take one size bigger to feel comfy, now I know I need to get more fit 😀 leggigs are synthetic by the way. Recommend the store for all, OK shipment Goods consistent with the description workmanship solid and decent. Go ahead here and buy. I love it! Shiny, elastic material, very comfortable. You can take your normal size. 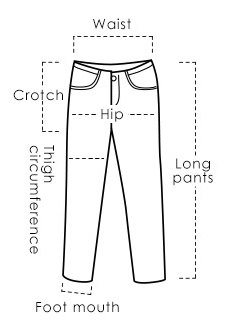 M is perfect for waist 80 cm. The Color is different from the photo, so upset.